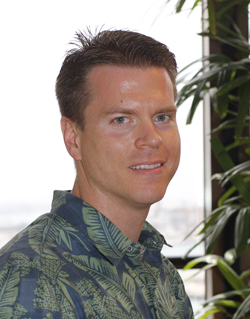 Ulupono Initiative has announced Murray Clay has joined the Hawaii-based social investment firm as managing director. In his new role, Murray will coordinate investment efforts and manage daily operations. He brings more than a decade of experience in managing hedge fund and equity portfolios to the firm. Created by eBay founder Pierre Omidyar and his wife Pam, Ulupono Initiative is dedicated to improving the quality of life for the people of Hawaii by supporting efforts that create more locally grown food, more renewable energy and less waste. Prior to his role at Ulupono, Murray served as Deputy Chief Investment Officer of SDS Management LLC in Connecticut. While at SDS, Murray led due diligence, negotiated and structured direct investments in companies in many industries including energy, natural resources and biotechnology. A graduate of the U.S. Air Force Academy, Murray holds a Bachelor of Science in international affairs, with a minor in Japanese. He earned his master’s in business administration from the University of Chicago’s Graduate School of Business (now Booth School of Business). Rooted in the wisdom that a healthy environment and a healthy economy go hand in hand, Ulupono Initiative invests in innovative Hawaii-based businesses and philanthropic organizations to catalyze economic and social change. Ulupono Initiative was launched by the Omidyar family in 2009 with Robin Campaniano and Kyle Datta as general partners.